scallops, a big flower, circular elements on the frame and the punched edge . we celebrated your 5th Birthday at the Farm barn. You and your friends fed the animals, rode the ponies, had a fabulous birthday lunch. We lit the candles on your BIG PINK birthday cake . YOU had the BEST DAY !! thanks for popping by and leaving me some love . Another beautiful LO. Love what you've done with this LO. Love the swirl rub-ons or it stamping? The fussy-cut yellow leaves look fab in the cluster. Beautiful page, Heather! Ohhhhhhhhhhh wow!! This is GORGEOUS!! I love love love love the photos, the colors and loving the flowers!!!! 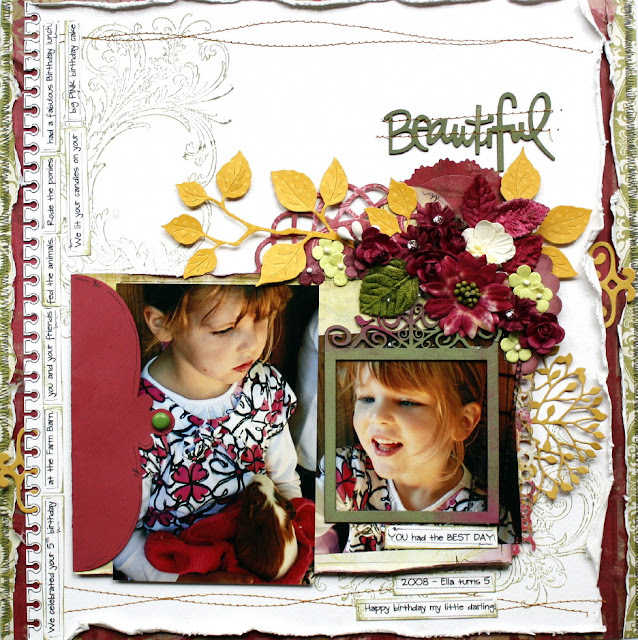 Stunning page cool details sweet photo! Gorgeous photos and a lovely LO! Heather I just love how you place things perfectly on your page, well perfectly in my eyes, you are such an inspiration. 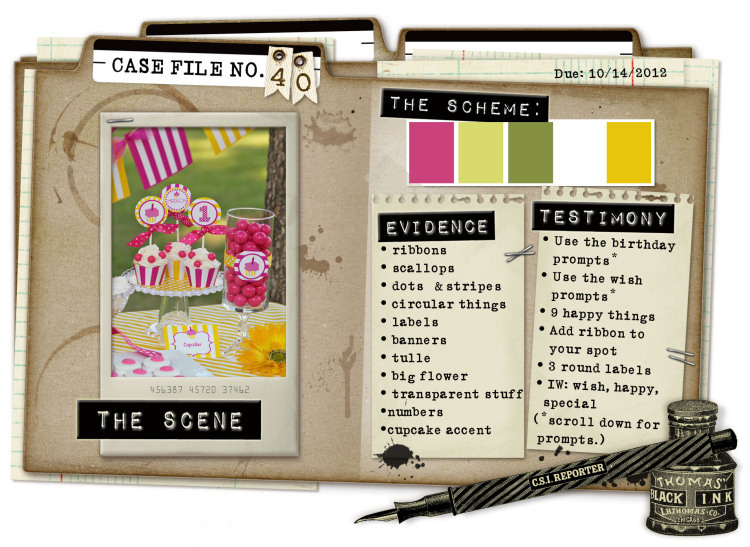 And her top matches perfectly for these colours.....just stunning and love the two photos with the "envelope" piece. 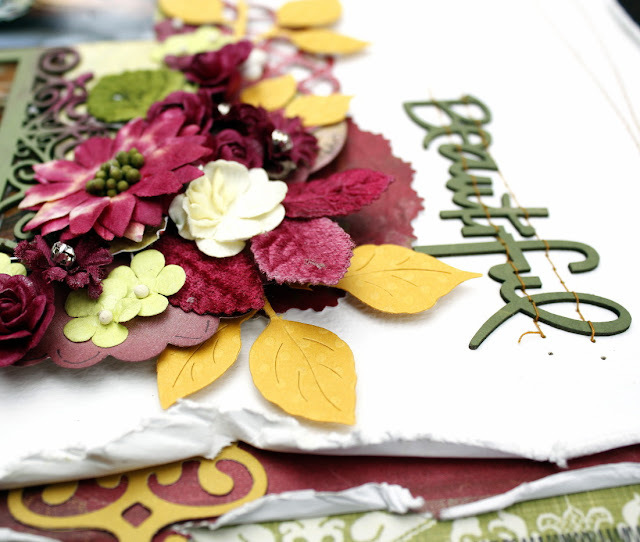 Loving the stitching and layered "border". Gorgeous! I love how you used the colour palette. Oh my perfect perfect perfect colours.....and design and EVERYTHING! 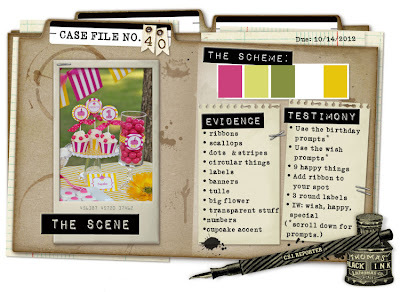 Oh what a gorgeous take on the case file! Love it!